​financial challenges in the long run. ​there are made available for support. ​ Caregiver Training Courses e-calendar. Families who employ full-time Foreign Domestic Workers to look after their loved ones with disabilities to pay a lower monthly concessionary FDW levy of $60 (instead of $265), if they are eligible. The Foreign Domestic Worker (FDW) Grant is an assistance scheme that is intended to help families who need to hire a foreign domestic worker to care for their loved ones who are elderly and those with moderate to severe disabilities. Eligible families may receive a monthly grant payment of $120. Taxi subsidies for persons with disabilities who are unable to take public transport to work/school. This card covers standard medical and hospitalisation treatments at public healthcare institutions (including polyclinics) and intermediate and long-term care (ILTC) institutions for needy residents of MOH-funded nursing homes, or MSF-funded sheltered and disability homes. Basic and Additional Subsidy for centre-based infant and child care, and the ComCare Student Care Subsidies. Here are some places providing funds, bursaries, scholarships from gov. and pte support made available for our children. Do click and find out more about them. We may never know who receives them, so please do try, and it can make a big difference for your kids. ﻿The Fund is in aid of education for physically disabled students. Persons with disabilities can get subsidies to acquire, replace, upgrade or repair necessary assistive technology equipment and accessories (e.g. wheelchairs, hearing aids, etc.) that aid early intervention, education, training, employment, therapy, rehabilitation and/or independence in daily living. We partnered Asia Pacific Breweries (APB) Foundation and Microsoft Singapore to offer the APB Foundation for Persons with Disabilities and Microsoft YouthSpark Scholarship to youths with disabilities. For more information on how to apply for the SkillsFuture Study Award, please visit the SkillsFuture website here. The Post-Secondary Education Scheme helps parents save for their children’s post-secondary education by maintaining a Post-Secondary Education Account (PSEA) for each eligible child. Recognising that students with SEN need much stronger support to learn skills and be self-reliant, the expansion of the usage of PSEA to cover training courses supported by SG Enable and other sheltered workshops approved by MSF. More than 50 training courses can now be funded by the PSEA. These courses are in many different domains including music, IT and hospitality. Students with SEN may now tap into their PSEA to attend SPD’s training courses on the use of digital tools like tablet and Photoshop, and effective communication. The PSEA will be closed when the account holder turns 30. Any unused funds in the PSEA will be transferred to the account holder’s CPF-Ordinary Account (CPF-OA). In March 2014, a SEN Fund has been set up by the Ministry of Education (MOE) to allow polytechnic students with physical, hearing or visual impairment (PI, HI or VI) to have equal access to their institutions’ programmes and services, as well as learn to be independent learners and workers. You can tap into the SEN Fund to purchase Assistive Technology (AT) devices and support services. Students in MOE-funded Special Education Schools who are Singapore Citizens will benefit from Edusave in three ways: (a) Edusave Pupils Fun (b) Edusave Grants (c) Opportunity Fund Grants for School-based Achievement Awards for SPED. The Ministry of Education, together with NCSS, provides financial assistance to needy Singapore Citizen students in MOE-funded Special Education (SPED) schools so that all Singaporeans, regardless of their financial background, can benefit from the best opportunities in education. The SPD Bursary Award is offered to students from low-income families studying in mainstream schools. Students must have a physical or sensory disability, i.e. hearing or visual impairments, to qualify. The quantum of the grant ranges from $300 per year for primary level to $6,000 per year for university level. To encourage youths with disabilities to pursue their interests in visual or performing arts, sports or community service, we offer a grant of $5,000 to recipients of the SPD Youth Aspiration Award every year. The award is open to youths with physical or sensory disabilities from Secondary One to Universities. SPD Education Programme provides learning and development opportunities to students with physical disabilities through outings, camps, workshops and courses. Post-secondary school students also receive career counselling to help them identify their interests and abilities, as well as set future-oriented goals. When necessary, primary and secondary school students with physical disabilities from low-income families studying in mainstream schools also receive partial or fully sponsored private tuition at their homes to help them cope in their studies. Other schemes, such as the Special Employment Credit, also help to provide financial support to employers. ​The SkillsFuture Study Award encourages experienced Disability Employment Professionals to strengthen their competencies, so they can deliver quality service to persons with disabilities and employers. These professionals can also include supervisors or HR Professionals who have been instrumental in supporting the employment of persons with disabilities at their workplace. SNTC provides trust services, management of endowment funds for clients with a wide spectrum of special needs. A SNTC Trust is a necessary infrastructure to ensure your loved one receives the gifts under your will, insurance and CPF savings nomination. 1. Care Plan - drawing up possible alternative care arrangements and the financial requirements are worked out for the person with disability in the event the primary caregiver is no longer able to provide the care and support. 2. Trust Services - a legal relationship in which an individual or institution (known as the Trustee) holds assets, subject to a legal obligation to keep or use the assets for the benefit of another (known as the Beneficiary). 3. Special Needs Savings Scheme (SNSS) - encourages parents of special needs children to save up for their long-term care needs. Under this scheme, parents can nominate their children to receive monthly disbursements from the parent’s CPF savings after the parent’s demise. Coverage for medical expenses due to accident and infectious diseases for children with autism. Recovery Expenses for physiotherapy or psychiatric therapy. Personal liability. The Mental Capacity Act of 2008 puts in place a legal framework for proxy decision-making where individuals may make a lasting power of attorney (LPA) appointing someone to make decisions on their behalf when they lose mental capacity. ​The entire process is estimated to take two to three months and cost just approximately $250 in court fees. Without this programme, parents would have to pay $3,000 to $9,000 for legal fees, and a few hundred for a formal medical report. Aviva's MyMaternityPlan is a single-premium, three-year policy that covers as many as 10 pregnancy complications and 23 congenital illnesses. It includes coverage for developmental delay and stem cell transplant surgery. The plan offers a lump sum payout should the mother and/or child be diagnosed with any of the stated conditions, or in the event of death. Developmental delay in this case is defined as the inability of the insured child to walk without aid over a distance of 2m, or speak and say simple words by the age of 28 months. 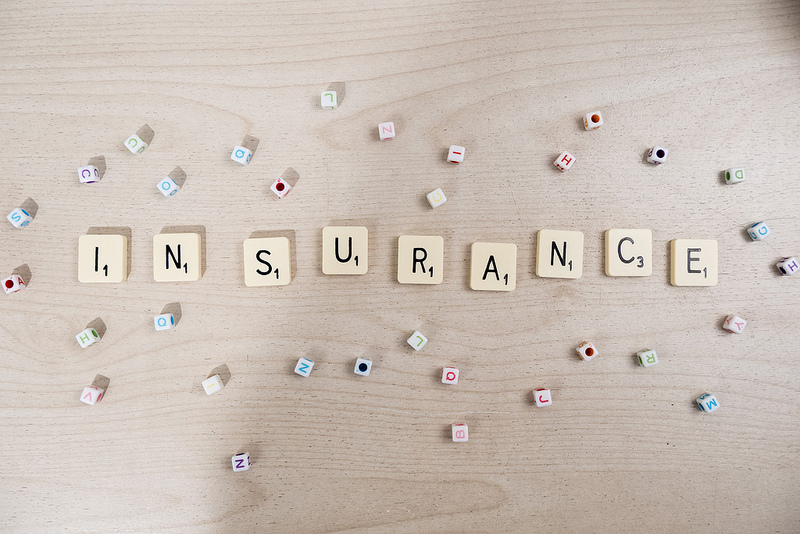 Here is a page where you can read up about a simple breakdown of explanations for Underwriting, Policys available, Rejections, and Coverage. Contact our agents today and they can not only answer all of your questions, but also provide you with free plan comparisons and price quotes on international health insurance plans with coverage provided for autism.